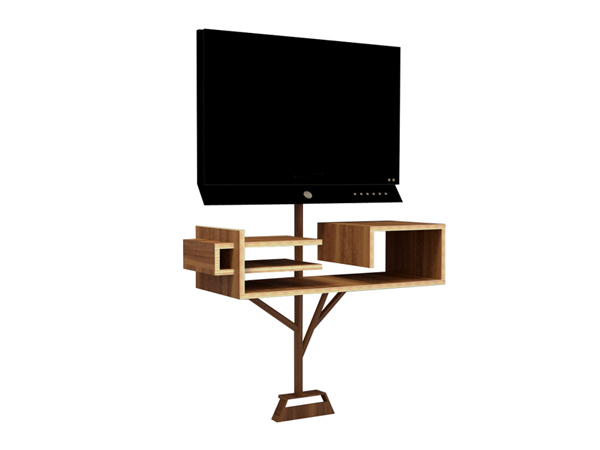 Tree 2.0 is an all-in-one solution for organizing your TV entertainment peripherals that’s perfect for wall-mounted systems. 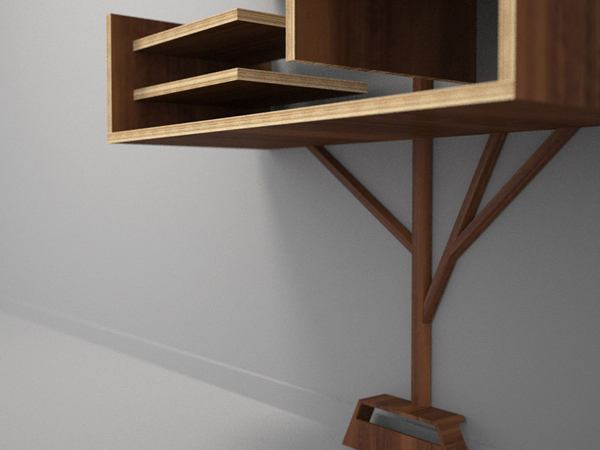 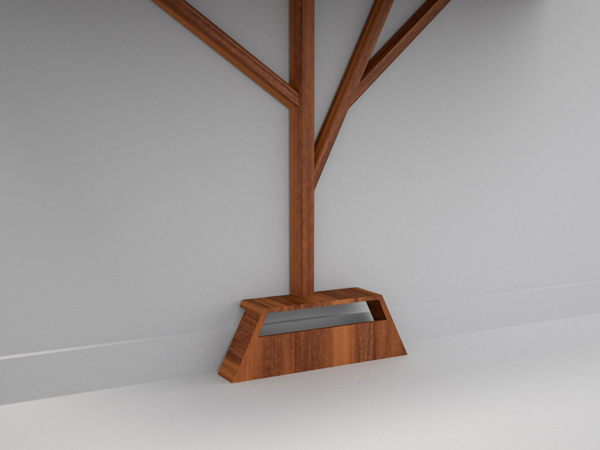 The “branches” of the tree hide unsightly cables all the way from the base to the canopy where receivers, DVD players or gaming systems are supported by multi-level shelves. 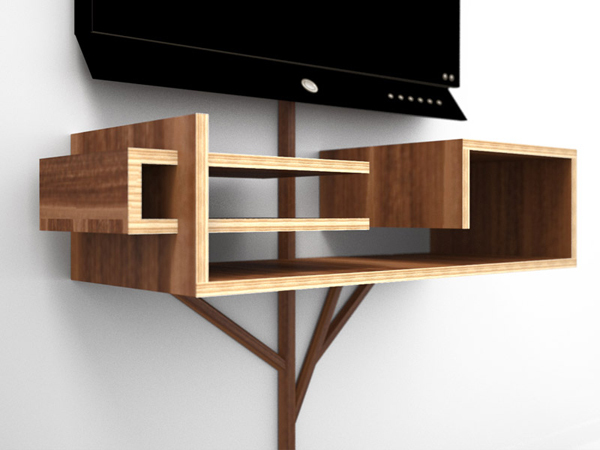 Much cheaper than hiring a contractor to embed cords int he wall and super easy to install!